1. With Iskandar Malaysia master plan, I believe the property price in JB Market will increase gradually if not dramatically. I would like to travel between JB and SG so that I can save the rental expenses in Singapore. 2. The location of the property is nearby my hometown. I would like to stay near to my parents. However, I realized that this is not a good reason if you would like to purchase property as an investment. how to manage the mortgage loan and other related matters. 4. The property developer is Mah Sing, which is one of the stocks I invests since long time ago. I am quite confident of its reputation and believe it can deliver with good quality on time. The property is using CONQUAS standard. 5. The home provides clubhouse facilities such as Gym Rooms, Swimming Pools, BBQ slots, gated & guarded and others. With this, I believe my family can live in a better standard. My neighbor just sold off his Semi-D Linked House at RM570K last month. With proposed Pulai Jaya Interchange to come,I believe the accessibility can be improved further. 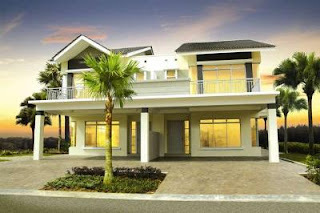 You may refer to my post JB House Renovation to check on renovation cost in Johor Bahru area. I went in ur taman before, quite cosy n decent. wondering if mind to share its maintenance price per month? I once heard the rental there is about 500 per month, is it so ? It's RM378 per quarter. I hope that the maintenence fees can be maintained or even lowered down later once new residents join our community later. This payment is quite fair to me as it includes maintenance fees for swimming pool & gym room as well. Hi Aeleo, it is just my estimation. I am still in the midst of trying to optimize my rental income once my house is completed by next year. Jack - you are quite accomplished. Thank you for sharing. what are good investment properties to buy in Johor Bahru? I am looking at around $400000 project. Any latest news about the Pulai Jaya Interchange? Have you moved in to your Cluster unit? I see there are many shop offices being built in SPP2. Any opinion in buying any of those? Hi Bro, until now, I only hear about the rumour that the Pulai Jaya Interchange is in the project tendering stage. Sadly that UMLand is now privatized, so I could not be able to find out more from public / internet. Nonetheless, let's wait for the good news to come. As for new shoplots in SPP2, I suggest you to come to this are to have a survey here. I believe Pulai Jaya Interchange is a big catalyst for people to move to this new area. Thank you for your compliment. I am not sure how well UK property marketing is doing now, but I notice quite a number of Asians acquire London Prime location properties, and it caused more locals getting harder to have 1 to stay there. Nonetheless, I believe that hardwork + good personal finance skills would cushion you from hard time to come. Good luck.